Trained NOAA scientists measure the carapace length of this unexpected catch. 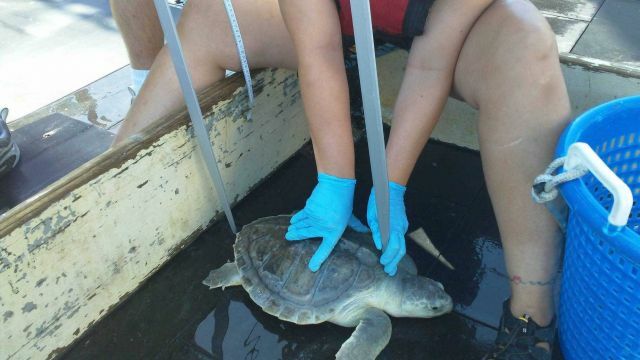 Before being returned to the Gulf of Mexico, this Kemp’s Ridley turtle was outfitted with two flipper tags. These tags can be used to help scientists monitor the life history of this particular turtle.